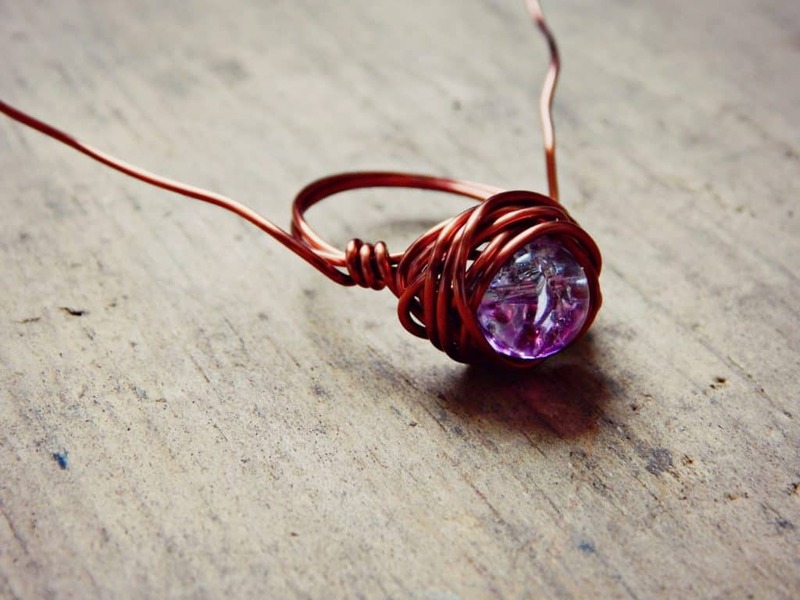 I started learning how to wire wrap jewelry a few years ago. 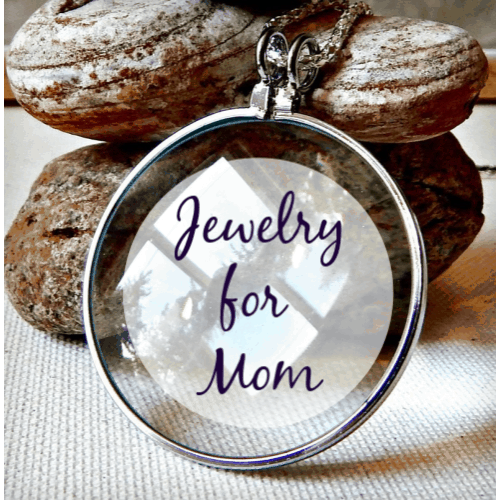 Now it is one of my favorite hobbies and jewelry making techniques. 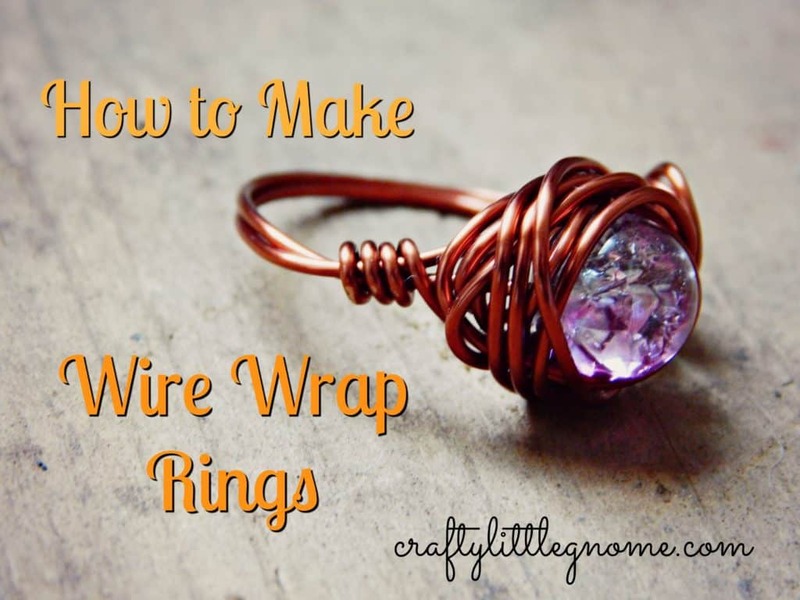 A couple of weeks ago I showed you how to wire wrap a sea glass pendant and last week I gave you a sneak peak on how to make these cool rings. 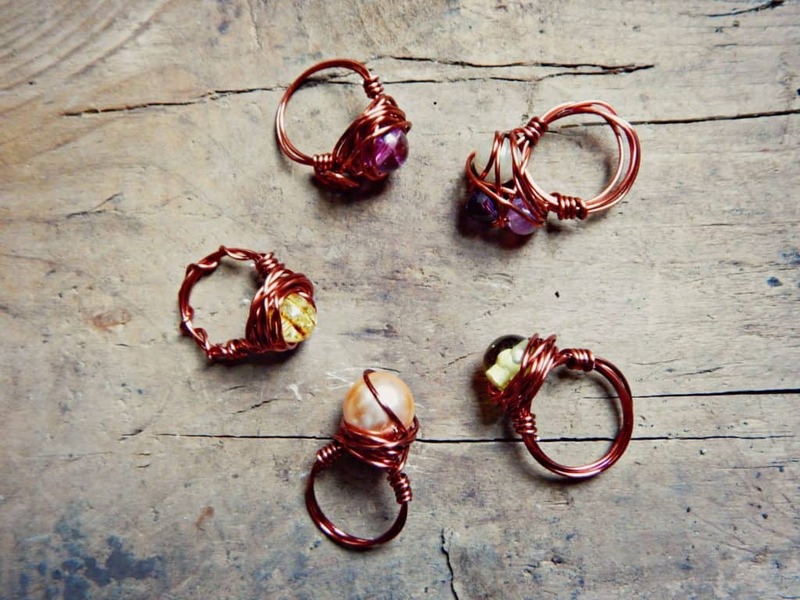 These rings are surprisingly easy to make and only use two supplies, wire and beads! These are tons of fun to make and are great gifts. 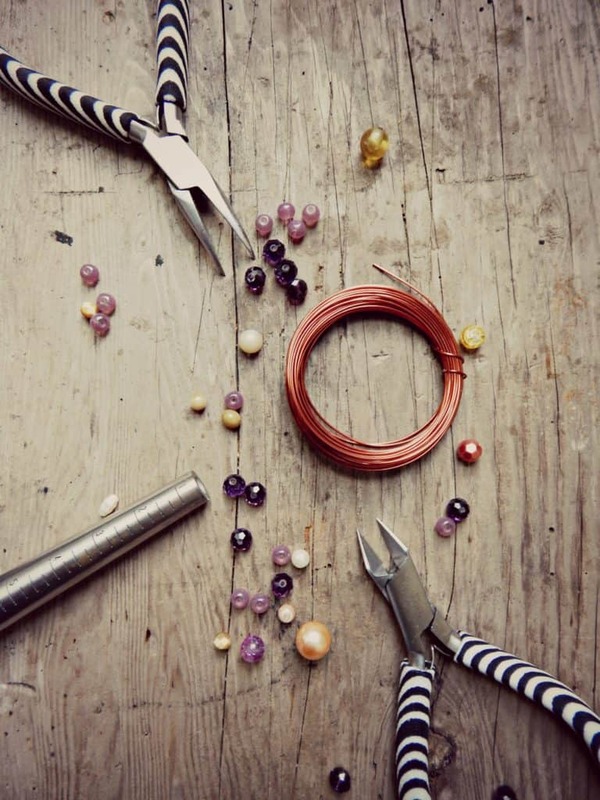 Start by cutting about two feet of wire and stringing your bead on it. 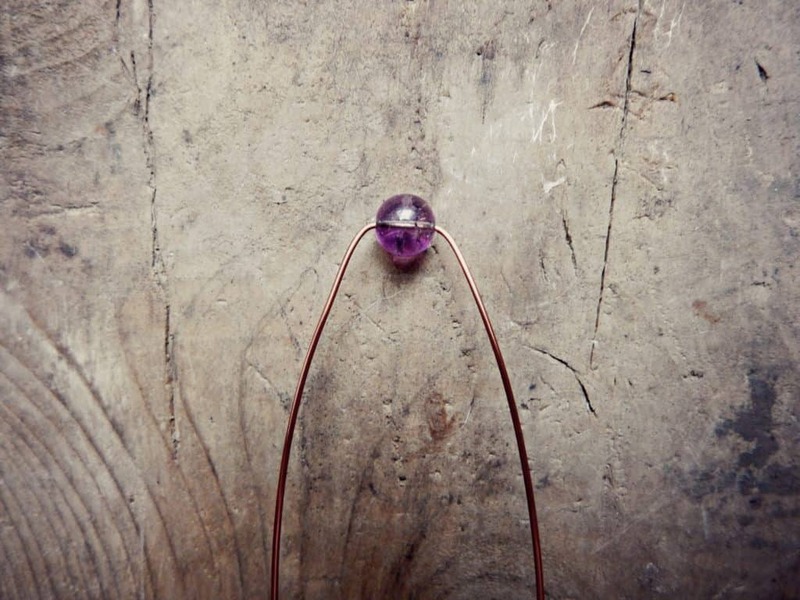 Bend the sides of the wire down. 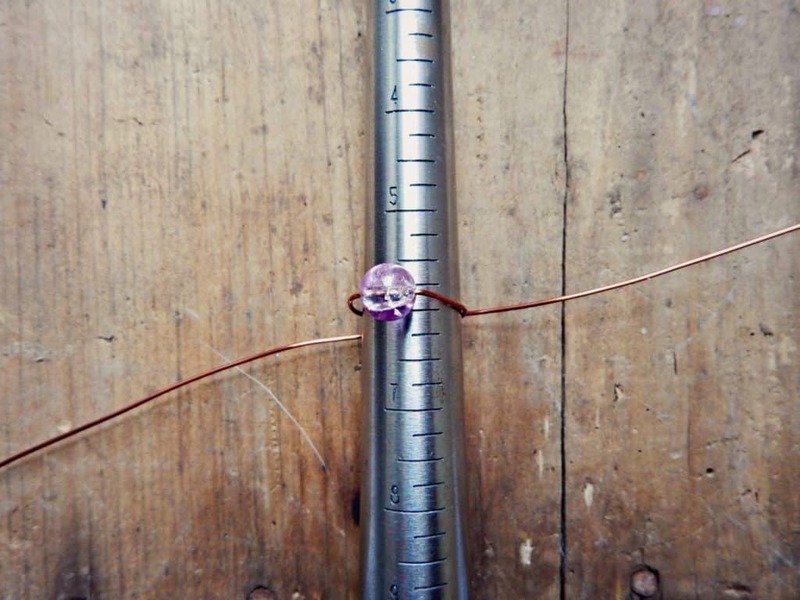 Wrap it around your ring mandrel using the sizing gauge on the mandrel to make the correct size ring for your finger. 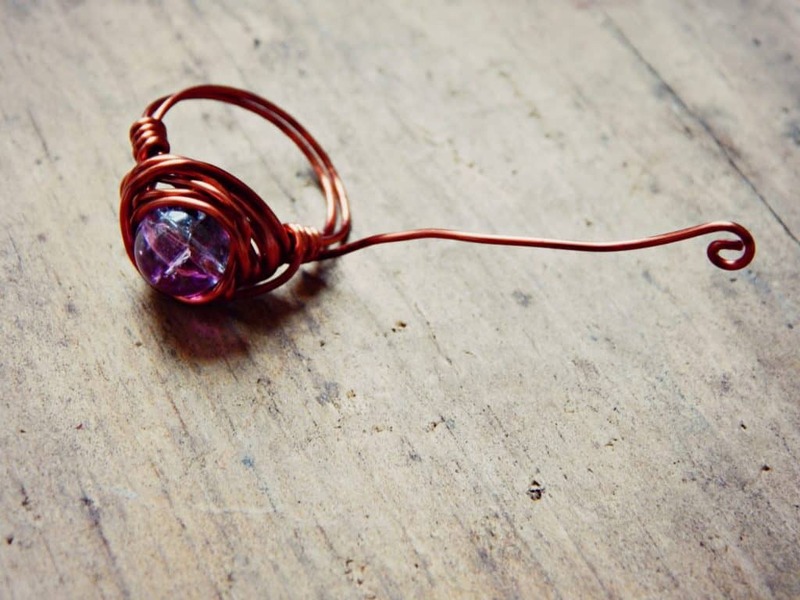 Wrap the wire around the mandrel twice and then start wrapping the wire ends around the bead. Keep twisting it around the bead. You can make it really tight and smooth or messy and birds nest-like if you want. 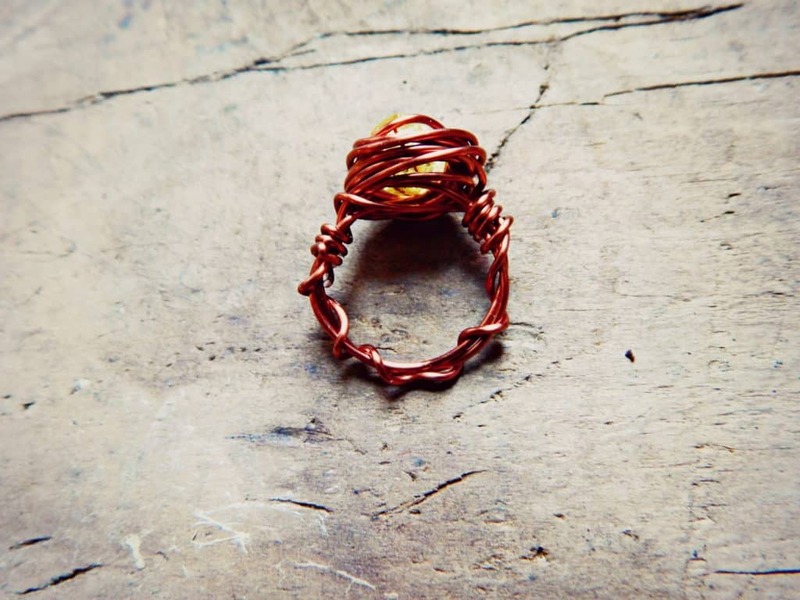 Once it is wrapped around the bead to your desire take the ends and start wrapping them around the band of the ring. Use your pliers to help wrap it tight. Loop it about 3 or 4 times. Alternatively, you can take the free end and make it into a spiral. 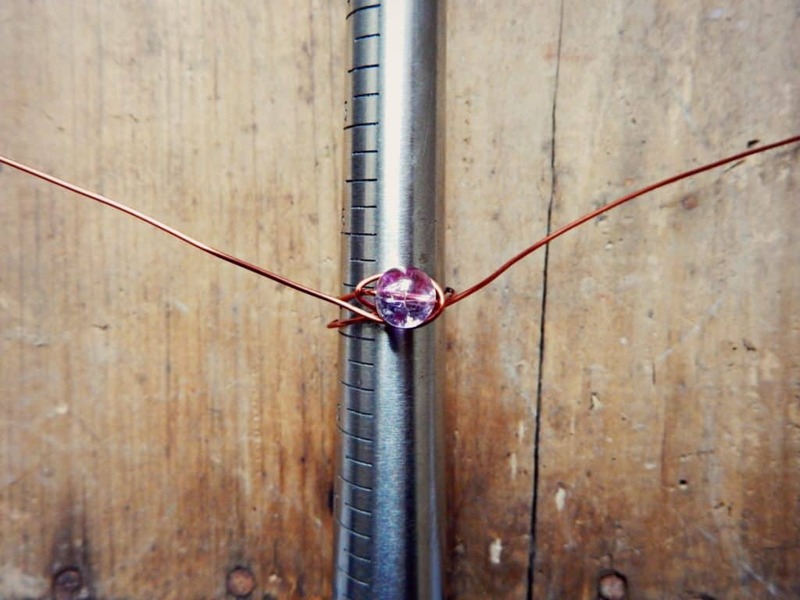 Use your pliers to start to spiral the wire and roll it right up to the base of the ring. 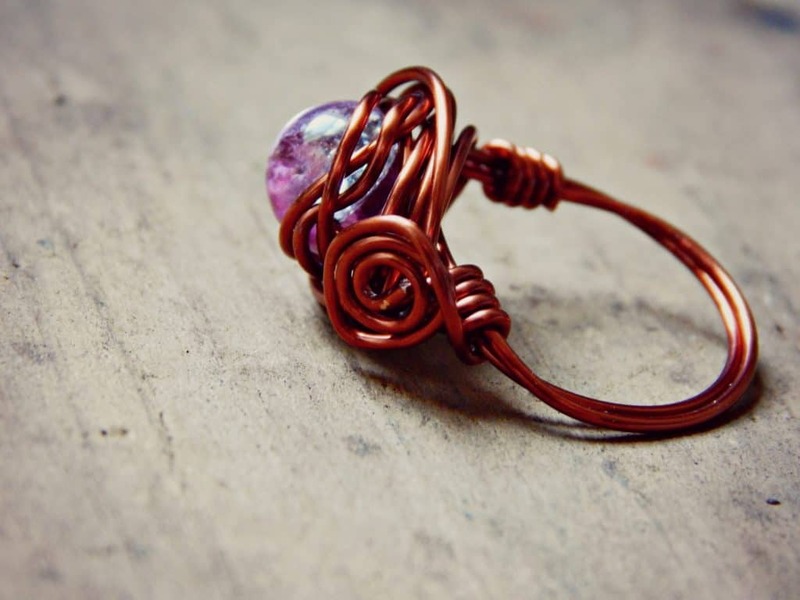 Once you have the basics down you can experiment by trying out different beads and different ways of twisting the wire. 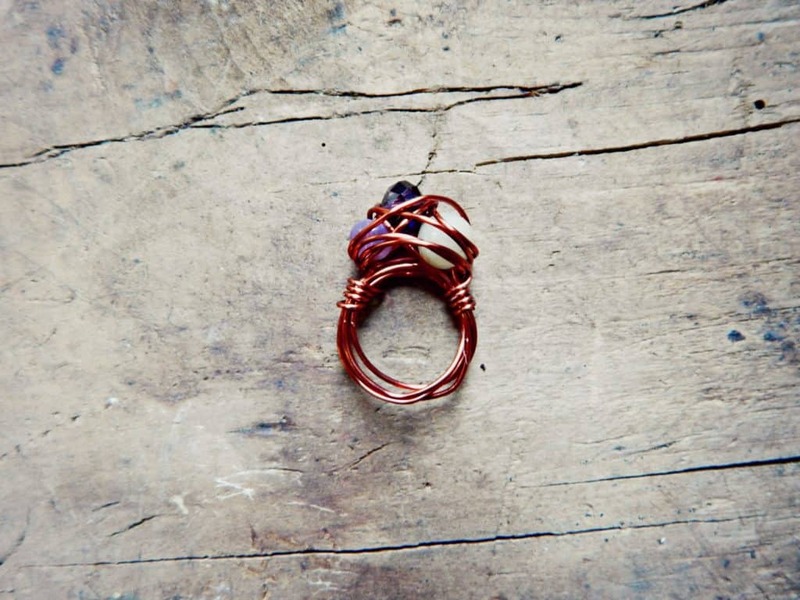 You can try wrapping the wire all the way around the band. 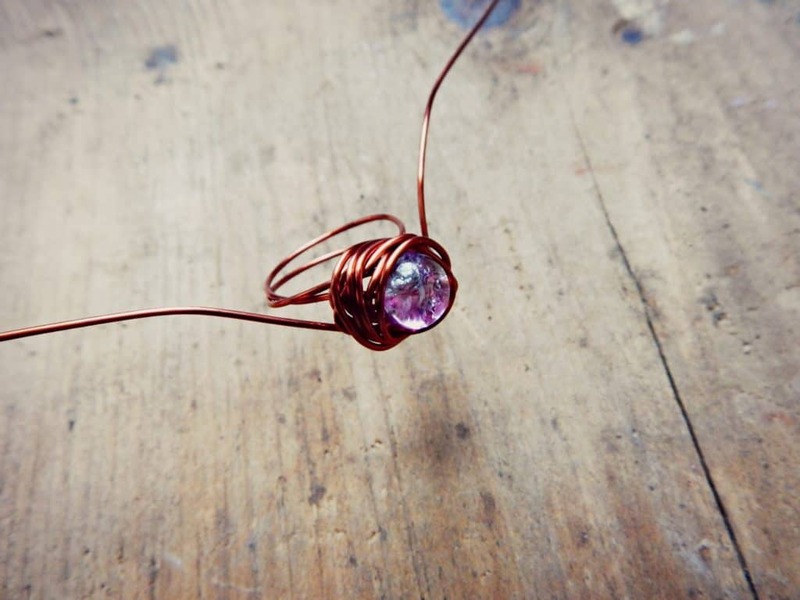 Or you can start with more than one bead on your wire and wrap around all of them. 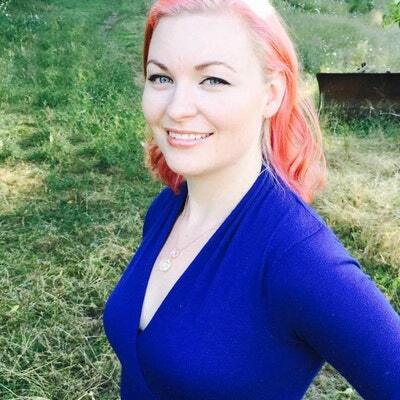 If you try out any of my projects make sure you share them with me on my Facebook page so that I can feature you! Happy Crafting!